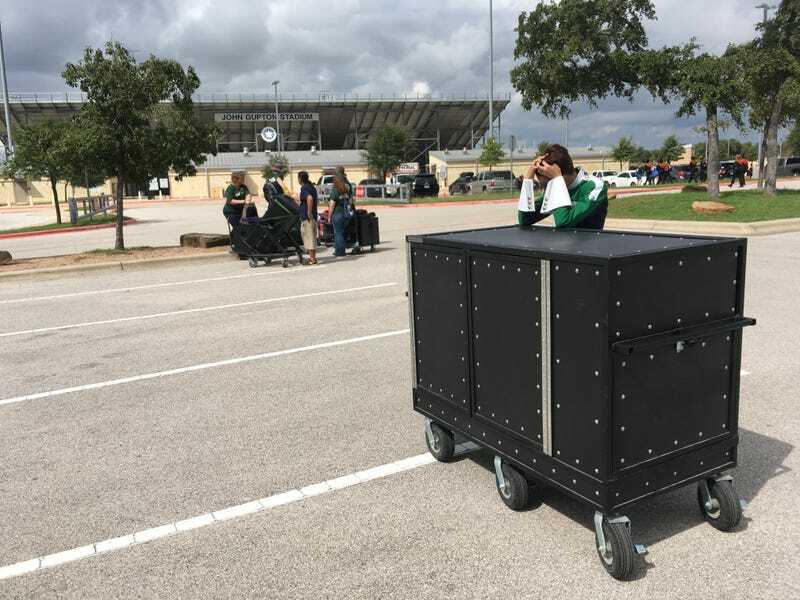 Marching band competition and I am pushing this sound cart on and off the field. It’s got a sound board and many cables. It is VERY heavy. Getting my cardio work for the day.